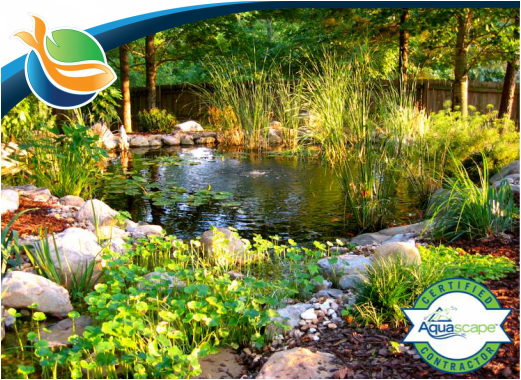 We maintain a variety of ponds & water features for Commercial & Residential accounts in the North Atlanta area. Contact us today to schedule an appointment with us. 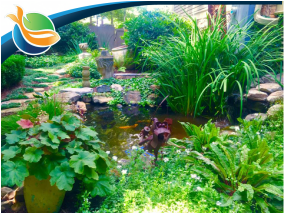 Simply put we love Ponds and Waterfalls and enjoy the opportunity to share our knowledge and expertise with you so that you may enjoy your Water Gardening lifestyle. 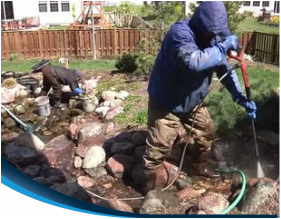 We have seasonl one time visits and regular service calls to help you with your water feature. Paradise Ponds & Waterfalls is dedicated to providing their customers with the most comprehensive and logical pond maintenance services programs available in The North Atlanta (Alpharetta, Fulton, Duluth & Gwinnett County of Georgia (GA) Areas. This dedication enables us to make educated improvements on our uses of the Aquascape product line we use. 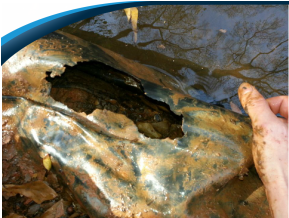 We are the top pond leak troubleshooting and repair company in your area. If you have a pond, it will probably get a leak at some point. The good news is that many leaks can be easily resolved. 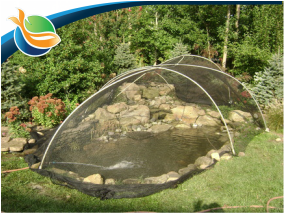 Pond netting is often needed in the Alpharetta, Fulton, Duluth & Gwinnett Georgia (GA) area when excessive leaves have the potential of making their way into the pond. 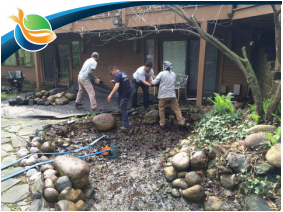 If your pond is in the direct vicinity of large trees then you will want to consider us netting your pond. The best thing you can do if you live in the Northern Atlanta area during Winter months is to keep your pump running all the tiem. 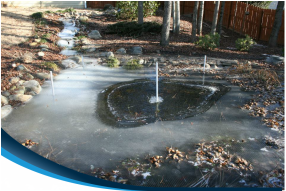 Small aerators can also be used to help keep a small hole open in your pond during the colder temperatures that we get in January.